Jewellery as guaranteed go-to for Mother’s Day! Jewellery is ultimately purely aesthetic. Although jewellery doesn’t just qualify as a gift for women, it is traditionally thought of as one. Jewellery is the ultimate go-to gift for special occasions. Many may claim that jewellery is a generic gift void of meaning, but we disagree. It has no productive value but, to many people, it can embody great sentimental value. This sentimental value, therefore, makes it a great Mother’s Day gift idea! NetJewel – NetFlorist’s sister – has completely embraced this fact, this Mother’s Day. All you need is love, but a little jewellery never hurt anybody! Order this Silver Heart Outlined by Cubic Zirconia ahead of time and have it delivered just in time for Mother’s Day. 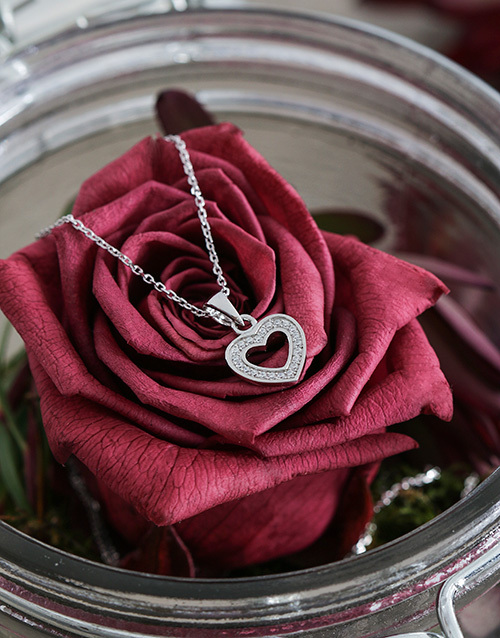 The sterling silver heart-shaped necklace has an adjustable sterling silver chain and it is set with cubic zirconia stones. The jewellery piece has been placed on a long life rose in a glass jar. The unique, yet beautiful packaging is sure to take her breath away! It is difficult to pinpoint when exactly women began cherishing precious gems, but one thing is for sure, the tradition is not a new one. Women love to look beautiful, this is why many of them choose to adorn themselves with sparkling accessories. The link it inherently biological and it helps reminds us that we are ultimately animals! But that topic makes many feel a little uncomfortable so, let’s not dwell on that for too long. A good pair of earrings illuminates the skin and accentuates the jawline. These studded earrings serve both functions perfectly! 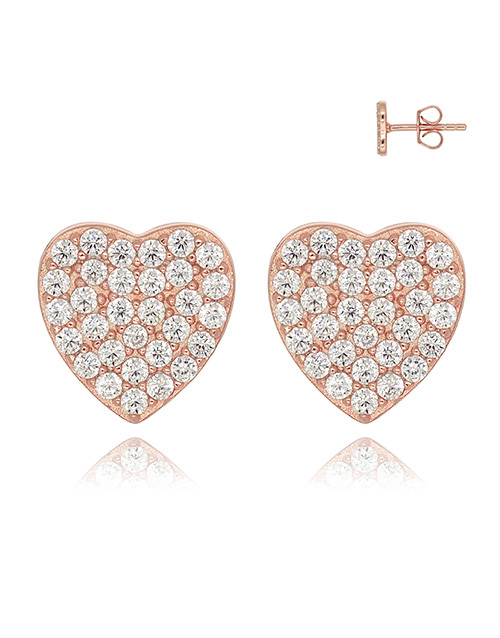 The heart-shaped studs are fashioned from sterling silver and are rose gold plated. The earrings are further detailed with 62 x round clear cubic zirconia stones. Illuminate and accentuate your mother’s beauty by sending this gift to her via NetJewel. Order today for nationwide jewellery delivery! Mother’s Day lends itself to gifting jewellery with meaning. There are a variety of jewellery options available in NetJewel’s Mother’s Day range. There are generic options, personalised jewellery options, and occasion-themed jewellery. Take time to browse through our extensive collection of bracelets, earrings, necklaces, charms, watches, and more! This mom-themed charm perfectly embodies the Mother’s Day sentiment. The heart-shaped charm is fashioned from sterling silver and is detailed with small red cubic zirconia stones. The charm is also considered a Pandora compatible charm. This fact ensures that you most definitely can’t go wrong with this jewellery purchase! 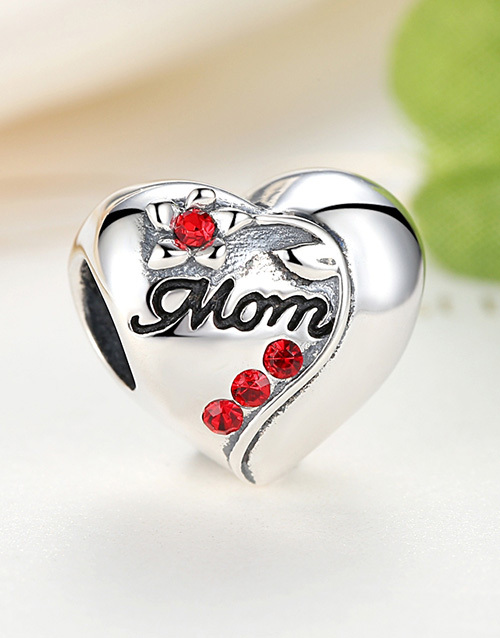 A common symbol in the Mother’s Day range is the heart. There is no love greater than that shared between a mother and her child. Respect for this love demands to be shown throughout the course of the year but, most especially on this special occasion. Another symbol is that of the infinity sign. The infinity sign generally symbolises eternity, empowerment, and everlasting love. Again, it is clear that a jewellery piece that sports this symbol, is the perfect gift for Mother’s Day, 2018. 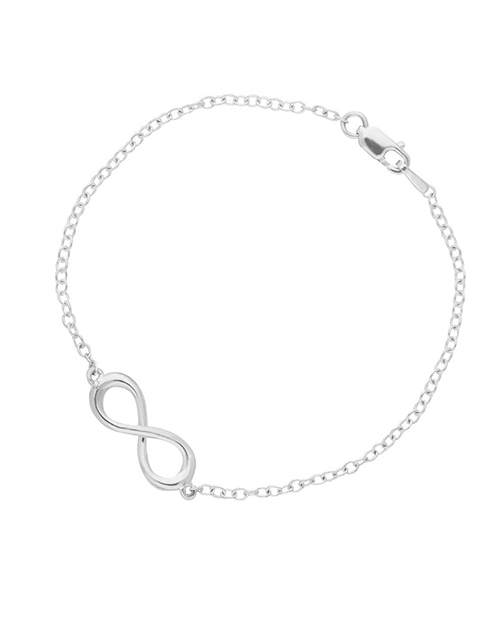 The infinity bracelet is master crafted in Argentium silver (960) and features the age-old symbol of eternity and boundless love. The bracelet is available in two lengths. This ensures that the bracelet is guaranteed to fit your mother’s wrist perfectly. The bracelet measures 19cm or 16cm. Place your order for this Jenna Clifford Silver Infinity Bracelet today, and have it delivered with NetFlorist. If your main concern is that the jewellery piece won’t successfully communicate your appreciation and the sentimentally you generally strive for, opt for a personalised jewellery piece. The Memi brand is particularly perfect if you are looking for a jewellery brand that has a vast range of personalised jewellery. A personalised jewellery piece can be treasured for years to come. Every time your mother wears it, she will be reminded of this day and her children’s love! The bracelet is a black silk cord wrap bracelet with a sterling silver button clasp. 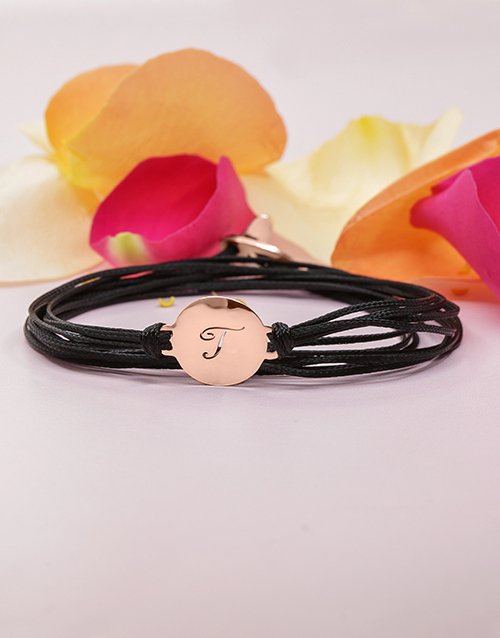 The bracelet is detailed with a 9KT rose gold round 15,0mm disc. The disc is available for free personalisation. Upload your mother’s initial to be engraved into the precious metal. The metal thickness 0,80mm. Get this 9Kt Rose Personalised Initial Disk On Black Silk delivered with NetFlorist. Whatever way you look at it, you can’t go wrong with a Mother’s Day jewellery gift! And with the large variety, you are bound to find a piece that will perfectly suit your mother’s jewellery taste. Be sure to place your order ahead of time to ensure that there is no disappointment on your side or your mother’s. If jewellery just doesn’t cut it, have a look at NetFlorist’s complete NetFlorist’s Mother’s Day flower and gift range!